I love our new home. It’s so light and spacious. Two things that are so different from our last home. I also love the big garden and the nice neighborhood. We have to do a lot in the garden before I can say it’s pretty. Right now almost everything is paved. I want to add some grass and of course flowers! I also want a patio, that would be great with the rainy weather here in the Netherlands. But for now we are still very busy inside. The last residents were living here since 1965 and were heavy smokers so you can imagine that there is a lot to do here. One of the rooms had 6 layers of wallpaper. I kept a piece of all of them. I really love the one above. I’m going to try to find a roll of that one. That would be so great! The cats were not amused by the move. John, the grey one, doesn’t really care about the new home but he does about not being able to go outside. Dime spent his first day lying under the couch. The poor thing. 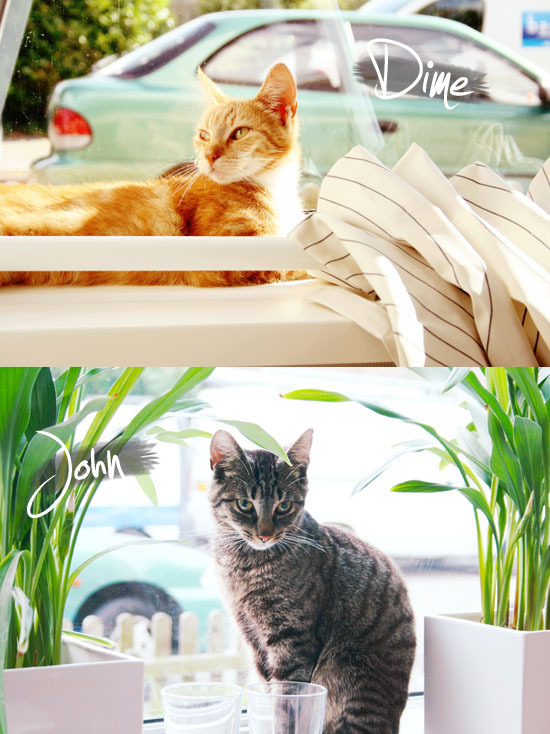 Now he is sleeping at his, and Johns, new favorite spot: the window-sill. They will be alright, it just needs some time..
Washi tape is a new love of mine. It’s so easy to create something beautiful with it. 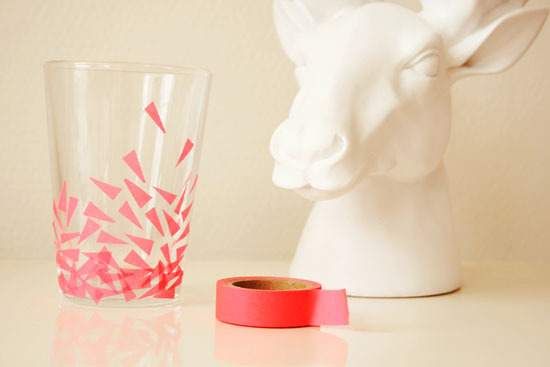 Today I created this pretty drinking glass. It’s great for a party! But you could also use it as a vase (see picture after the jump) or as a candle holder. 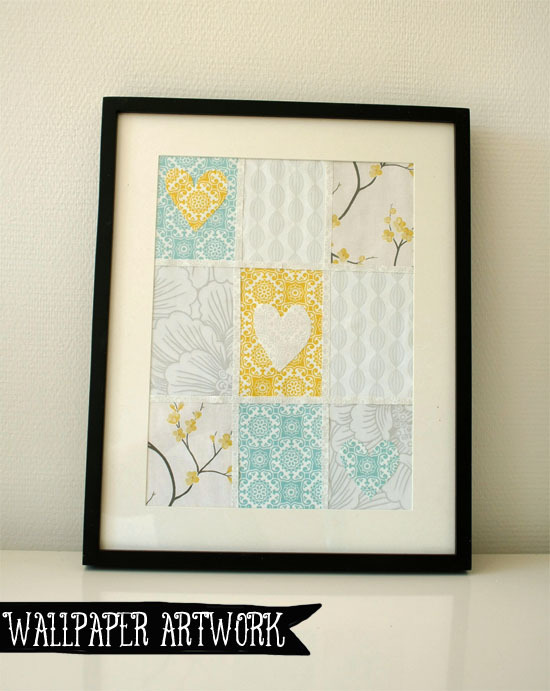 I’m still in love with wallpaper samples, so I decided that I’m going to make five different crafts with them. Today number two: a wallpaper sample bunting! I really like colorful buntings and with wallpaper samples you can create one at almost no cost. 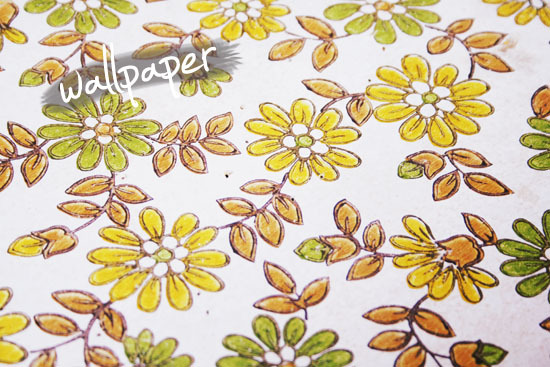 There are so many wallpaper samples to choose from that you will always find something that you like. I choose colorful wallpaper but of course you can go with one color too! 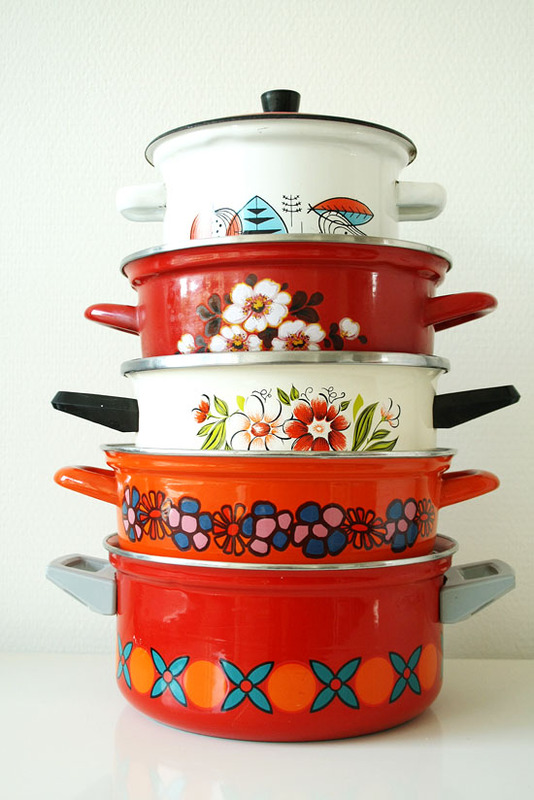 Thrift store find: Pretty vintage cooking pans! I really like the look of vintage, metal serving trays. The only thing is that I never get to use them. I thought I could make something cool with it without losing character. 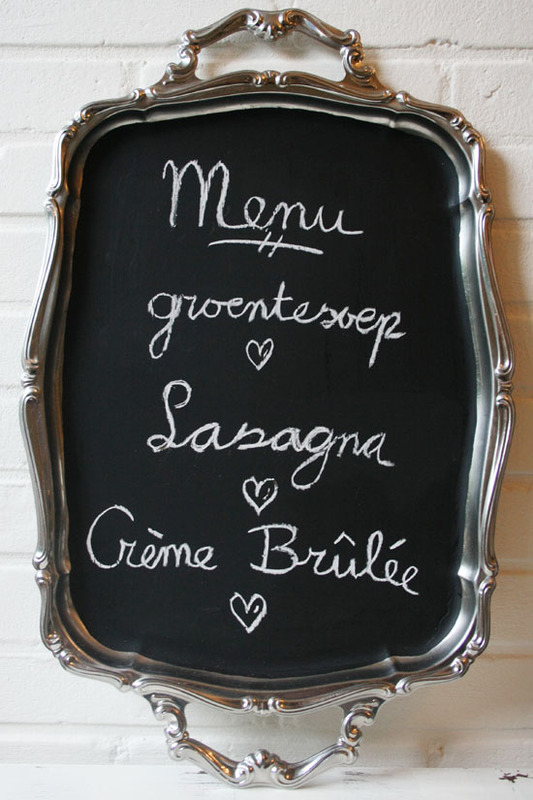 This serving tray chalkboard is really stylish and perfect for displaying for example a menu. It’s not that hard to make, but it looks great! It’s raining here all day, so I really needed to create some summer inspiration. 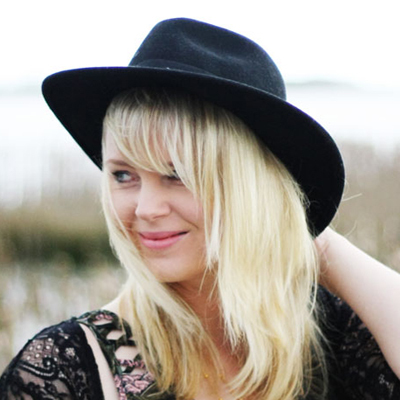 This outfit is fun and perfect for a day at a terrace in the city. I absolutely love the striped dress. It’s so cute! What do you think about this outfit? XO Wilma. 1. Too Red nail polish from RGB Nails. Sold at Beckley Boutique. 2. 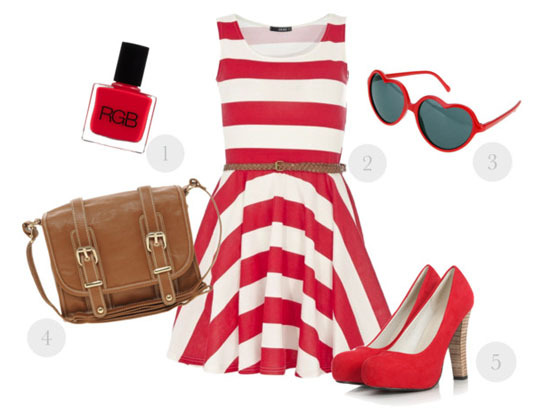 Red And White Stripe Skater Dress from Debenhams. 3. UO Sweetheart sunglasses from Urban Outfitters. 4. Oasis Mini Satchel from Asos. 5. Pumps Carrie Red from We Like Fashion.